Gopher currently doesn't have any concrete IoT products available. Only its pet tracker. Most of GOPH's revenues come from selling prepaid minutes and services through its two recent acquisitions of RWJ and ECS. Gopher has lofty ambitions. It wants to create a global mesh network. However, it doesn't have anything of the sort tangible right now. Gopher is similar to a biotech stock. It's only going to pay off if the company manages to develop its tech successfully and on time. This is highly speculative. As much as Gopher sounds exciting on paper, in reality, it still doesn't have the goods. It's probably better for investors to pass up on this one, but keep an eye on it. Gopher Protocol, Inc. (OTCQB:GOPH) is developing a product portfolio which could pay off significantly in the future. Its ambitious vision of creating a global mesh network and developing Internet of Things (IoT) technologies for drones, robots, AI and tracking are potentially game changers. However, all of its potential rewards are overshadowed by terrible financials, with bankruptcy being in the cards beyond 2019. Furthermore, Gopher's management articulates a hopeful vision, but so far has no concrete IoT applications available (aside from a pet tracker). Hence, it's probably best to pass up on Gopher at this point, but keep in mind for the future in case it strikes gold. 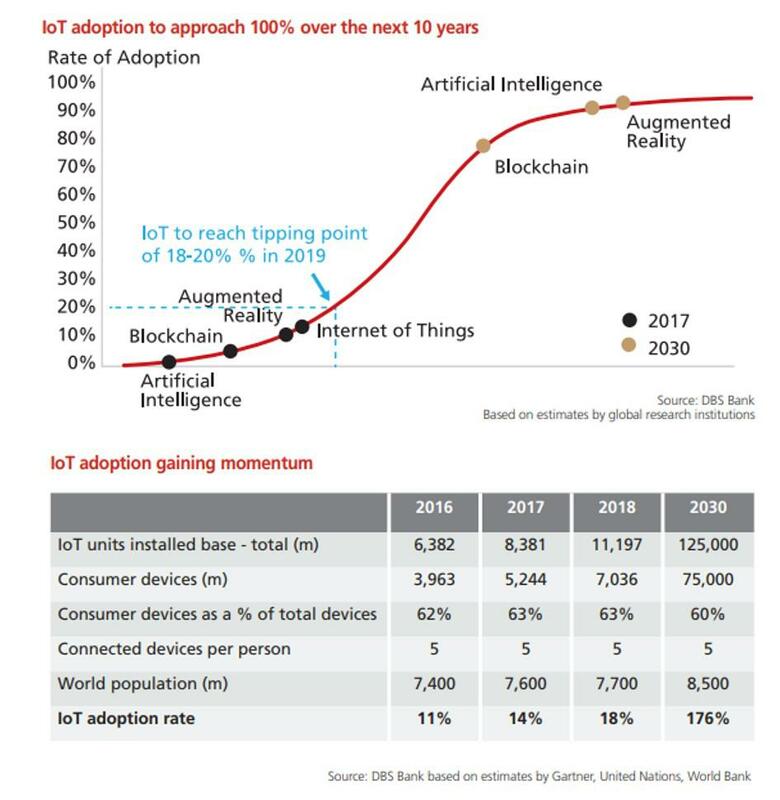 Source: IoT Network News. 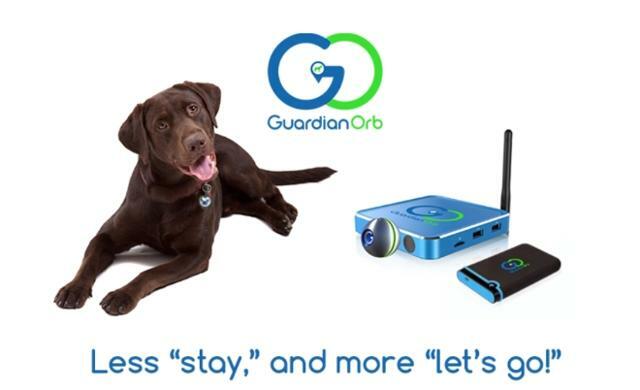 Gopher's only IoT device is the Guardian Orb. It's excellent for tracking pets up to 5 miles. Currently, it's in the initial commercial phases. Gopher has publicly traded since 2010. However, it only exists in its current form since 2015 (according to its annual report 2018). The company gets its revenues from three sources: 1) Provision of IT services to Guardian patch, 2) operation from assets acquired during 2017 and 2018 that involves the sale of phone accessories like prepaid cards, cellular minutes, and cellular activation, and 3) licensing of its technology. Source: Gopher operates in a market that's forecasted to grow significantly over the long term. These secular tailwinds could help propel its business much higher. The company operates in a promising IoT market. This is forecasted to grow approximately 15% to 30% per year (depending on how you measure it) until 2030. These strong secular tailwinds should benefit GOPH directly. However, this market is still in its infancy. Many of the potential applications are only use cases at best. A lot of commercial uses aren't even available yet. In GOPH's case, most of its product line is still under development. Source: Gopher presentation. GOPH is going in many directions. It wants to produce microchips, develop software and create the first global mesh network. It's also developing trackers, drone applications and even tech for autonomous driving. Gopher also plans to have a worldwide mesh network of microchips across multiple smartphones and devices. This global mesh network will harness the powers of self-learning AI. This will allow users to connect their devices in a faster and safer way. After all, mesh networks have advantages once they're implemented. However, getting there will be a real challenge since it usually requires considerable investments in infrastructure. It's uncertain if Gopher will be able to pull this off. Source: The Options Guide. Call option pay-off diagram. Calls are known for their substantial upside at the expense of total potential loss of investment. Gopher can be considered an IoT call option because it's developing technologies that could pay off massively, but could also go to zero. Most of these groundbreaking technologies are still in their nascent stages. Potential applications could change IoT, mesh networks, autonomous driving, robots, artificial intelligence, consumer goods tracking technology, and microchips, to name a few. Still, Gopher has few concrete products/services to show now. Overall, Gopher operates in three segments. First, the prepaid section currently has a 6% market penetration. Gopher believes it can tackle the remaining 94% successfully and hopefully increase its market share. Second, mesh networks can reach $12.1 billion in revenues by 2026. Tapping into this market is Gopher's long-term vision through the creation of a private global mesh network. 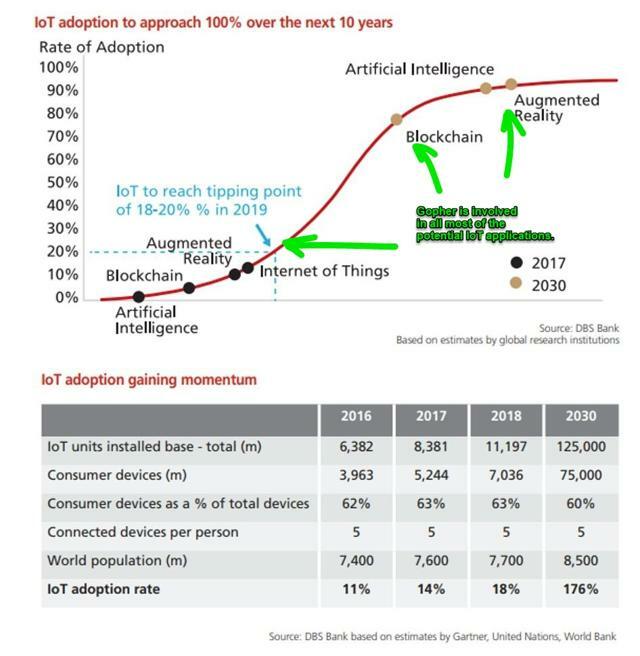 Third, according to Gopher, IoT technology (like asset trackers for example) is forecasted to grow from 22 to 70 million devices by 2022. Gopher currently only has the pet tracker orb in this segment. Most of its IoT devices are still in development. For the sake of argument, let's assume a reasonably optimistic scenario for Gopher. Say that its first segment doubles (from 6% to 12% market share). Since most of GOPH's revenues come from this segment, this is tantamount to doubling total revenues as well. Thus, this would equate to about $100 million in yearly revenue (just from the first segment). Regarding the second segment, I think profitability from mesh networks is still far off into the future. Profitability is probably three to five years out because this tech still requires substantial infrastructure and R&D investments. In fact, this segment will probably remain a drag on the company's results for the foreseeable future. 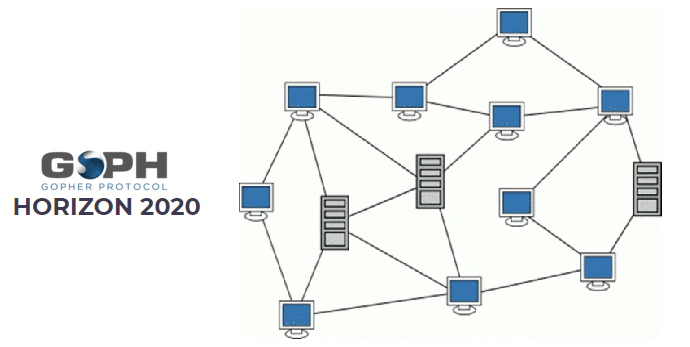 Source: A depiction of a self-organizing mesh network. To work, these require widespread adoption of mesh routers and supporting infrastructure. Lastly, let's assume that GOPH's pet trackers become reasonably successful. Say GOPH sells about 1 million of these units within one to two years. These devices are likely to be priced at about $135 each. Hence, this would result in $135 million in additional revenue for the company. Putting it all together, the upside scenario would be approximately $235 million in yearly revenue. This figure would be almost 4.5 times bigger than 2018's total revenues for Gopher. Furthermore, at this point, it's likely that the company would be profitable. Let's assume a 10% profit margin because at that point fixed costs can be scaled away. That would result in $23.5 million in profits, and imply a PE ratio of less than 4 for a high growth company! However, this rosy scenario is extremely unlikely in my opinion. First, doubling its market share on its cellphone segment is incredibly optimistic. After all, it's hard to differentiate its offerings on the prepaid minutes. 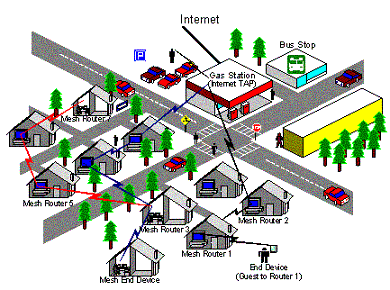 Second, the investments required for developing mesh networks could by themselves erase any profits. Lastly, pet trackers can be successful, but it's still a completely unproven market. Simply put, there are many things can go wrong for Gopher. Lofty goals are good but what about execution? I think management's long-term vision is fantastic. However, execution will be crucial, and this relies heavily on the quality of the management team. Here we're talking about having enough capital, budgeting efficiently, establishing a viable and profitable roadmap for the long term, having the ability to adapt to a rapidly evolving new market, being able to identify M&A opportunities, to name a few. There are numerous potential pitfalls, and shareholders have to trust that management is capable of guiding the company through all of them while implementing its extremely ambitious vision. If successful, GOPH will benefit significantly from IoT secular tailwinds, which can make shareholders very wealthy. Source: Gopher, author's elaboration. GOPH's 2020 plan is to equip 50 billion devices worldwide with its mobile chip technology. Gopher aims to create a global mesh network, an alternative to direct Wi-Fi connections. GOPH would charge for access to its network. However, it is essential to have in mind that the company is highly speculative at this stage. Currently, the company's main revenue source is from prepaid cellphones and activations. These revenues come from the ECS and RWJ acquisitions, so the most significant chunk of GOPH's revenues aren't even organic. Source: Gopher's 2018 annual report. RWJ acquisition was a mess, and Gopher claims to have been defrauded. Fortunately, executives managed to mitigate the debacles' impact, but still lost clients due to it. GOPH continues directing most of its resources to the development of new technologies (in-house and through acquisitions) that could potentially reshape the company entirely. Still, these new technologies could flop, or GOPH could run out of money before getting there. After all, GOPH doesn't have unlimited resources. Cash flows and profits are essential to survive while it develops these new products. However, GOPH remains unprofitable. This could even result in the company going bankrupt. Thus, I think the proper way of looking at GOPH is like a biotechnology stock that is developing new drugs. Its success depends on striking gold, but that might never happen. GOPH has razor-thin margins in its central business segment. Unfortunately, selling prepaid minutes and other cellphone accessories offers very little pricing power and product differentiation. On average the company appears to have roughly 4% to 6% gross margins through these revenues. According to management, gross margins have decreased from 2017 to 2018 due to lower margin sales generated by ECS. 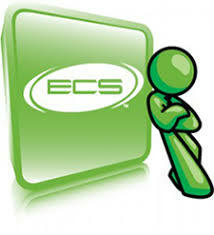 Source: ECS Logo. Gopher acquired ECS Prepaid LLC. This subsidiary and RWJ offer cellphone accessories and services (like prepaid minutes) and constitute GOPH's primary revenue source. Nevertheless, GOPH's 2018 revenues were almost five times bigger than 2017, from approximately $9 million to $51 million. However, these figures can be misleading. They aren't comparable because GOPH only registered four months of sales of RWJ in 2017. In 2018 Gopher recorded 12 and 10 months respectively from revenues of RWJ and ECS. Both of these subsidiaries sell prepaid cell phone minutes. Gopher expects that RWJ and ECS will continue to generate similar revenues going forward. Still, it will be necessary to raise additional capital, likely through debt. Management believes that it's capable of meeting its obligations over the next 12 months. However, it recognizes that GOPH might not be able to raise capital in favorable terms. After all, creditors must be aware of the company's precarious financial condition. I expect Gopher will remain unprofitable in the near-term. It's reasonable to assume that it'll generate roughly $2 million in gross profits for 2019 from its main operations (RWJ and ECS). After that, you still have to subtract general and administrative expenses plus marketing costs. Moreover, it's likely that GOPH will have additional costs due to new acquisitions, impairment of assets and even goodwill write-downs. Source: Mobiquity (OTCQB:MOBQ) logo. Gopher and Mobiquity have a share exchange agreement and a strategic partnership. Even in the best of circumstances, there seems to be roughly a $15 million deficit in the company at an operational level. On top of that, you have to discount that financial expenses (mostly interest payments) and potential unrealized losses on equity investments (Gopher has a $14 million stock position Mobiquity). Therefore there's no clear path towards profitability. I think that GOPH will have about a $24 million cash burn this year. Still, it's difficult to estimate with confidence since it can cut back on acquisitions and other costs at any time. However, if it does so, its growth potential will likely diminish proportionally. This would probably hurt GOPH's stock price. Moreover, Gopher has a dismal cash balance of only $1.8 million. Even total current assets of $6 million aren't enough to offset its operational deficit of $15+ million. Furthermore, GOPH doesn't have any meaningful competitive advantages. It does have some patented technologies, but that won't stop better-funded competitors from competing with it in other ways. Moreover, trends can shift quickly, new competitors can enter, and suppliers can negotiate away profit margins. Put simply, GOPH is still a tiny company, which makes it extremely vulnerable. Gopher has very little cash on hand to maneuver, which could prove deadly in its new and evolving market. Still, it's important to note that Gopher can use its stock to cover some expenses like acquisitions, executive compensation and even deals with suppliers. Nevertheless, these types of arrangements should hurt the stock price due to dilution. Source: GOPH's 2018 annual report. Gopher's business is "speculative and unproven" by its own admission. Caveat emptor. I imagine GOPH could issue up to $20 million in stock to finance its operations and acquisitions through 2019. This would represent a massive hit to shareholders because GOPH's market cap is roughly $80 million. It'd be substantially dilutive for current shareholders. Of course, this is only speculative. What we know for sure is that it'll need to raise capital somehow. In my view, the likeliest scenario will be a blend of stock and debt. 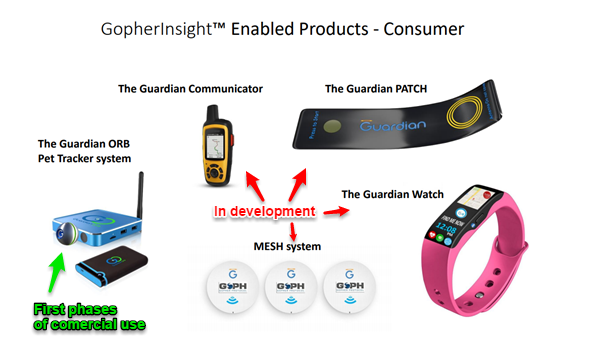 Gopher has very promising IoT products/services in its pipeline. However, the reality is that businesses require stable cash flows and strong financials to be viable investments. Gopher has none of these. Furthermore, shareholders are highly dependent on management's ability to deliver results. Unfortunately, GOPH's executives have already made some mistakes in RWJ's acquisition. In my view, this shows a severe lack of judgment on its part. Moreover, Gopher is burning cash at an alarming rate while trading at 1.5 times its sales. It's difficult to justify this type of valuation because GOPH has razor-thin gross margins and remarkably unprofitable. In my view, Gopher is a highly speculative company which might even go bankrupt in the next one to three years. Hence, the current price doesn't justify this risky trade. Lastly, it is a very thinly traded, which adds another layer of risk for shareholders. Overall I think investors should pass up on Gopher as an investment. Nevertheless, it's worth keeping an eye Gopher because if it manages to pull off some of its ambitions, it could become a fantastic investment. Still, right now, there's nothing concrete for investors.